Rachael's Soap On women's world magazine!! An invigorating blend of ground Brazilian espresso beans creates the ultimate exfoliating experience. We combine the espresso beans with cocoa butter, and our recipe of Hawaiian kukui nut oil and Brazilian hazelnut oil, olive, coconut, castor ,sesame and palm oils along with orange , cinnamon and almond essential oils it makes this a rich blend of chocolate scents coupled with dark roasted coffee essence and a hint of citrus . This soap is wonderful for all skin types. The aroma of freshly brewed coffee, not to mention the scent of orange, hazelnut and cinnamon essential oil mixed in with a rich scent of Brazilian espresso coffee and cocoa butter makes this soap not only alluring on your nose but great for your skin. Since ground coffee is a natural exfoliant and helps move away dead skin cells it also makes a great exfoliate. packed with freshly Brazilian coffee and cocoa butter , it is won t disappoint any coffee lover or anyone who can appreciate the aroma of a fresh brewed exotic coffee. Palm ,Olive Oil , Coconut Oil , , Coffee Oil, Ground Brazilian Coffee , Coffee Butter ,Hazelnut Oil ,Vanilla Essential Oil , Almond Oil . Harsh winter weather can ravage skin, try one of these winning beauty soaps Most Luxurious Scent Soap If it's a rich, floral fragrance you're after, try French Jasmine and Lilac . You'll love the heady blend of flowers essential oils. Handmade Soap with the Lightest Texture Peppermint and Shea Butter soothes and cools skin with mint extract , moisturizer and leaves no residue. Most Impressive Moisturizing Soap Goat's Milk Soap draw moisture to the skin and helps strengthen skin's barrier. 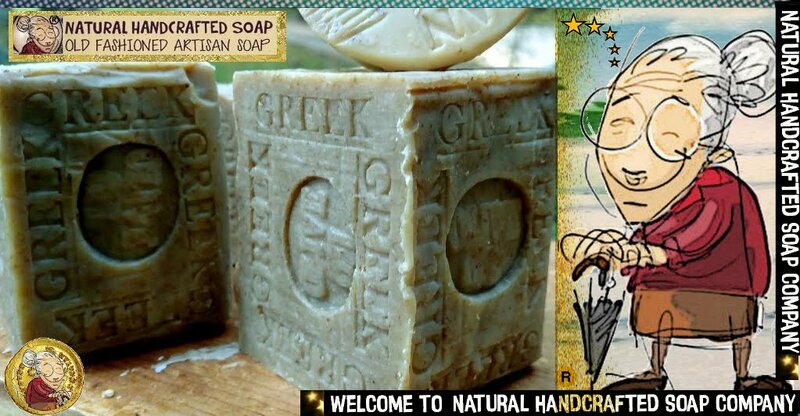 - You can use seven days a week Castile and Olive Oil Soap Don't you love to end a cold day with a delicious hot soak in the tub? Great soap for the end of the day is Provence French Lavender - If you're serious about winter shaving, A good shaving body soap is Volcanic Ash with Patchouli. Itchiness is often the sign of excessive dryness precipitated by cold winter. I recommend a shower w/unscented soap - Kelp Varesh .